Open Banking has the potential to be hugely transformative for millions of people in the UK - in both the short and long term. Not only do millions of us struggle to stay on top of our day to day finances, but we also have no idea if we are paying too much for regular products and services, the so-called loyalty penalty. So the arrival of apps to help us unlock spending data, see a complete picture of our financial health, make our money work better and for longer, and empower us to make smarter financial choices, couldn’t come sooner. But here’s a thought, if Open Banking means we no longer need to spend our time worrying about our day to day finances, does that mean we all finally have the headspace to focus on the longer term picture and our future financial self? Repurpose this money to top up your pension and build the happy financial future you want and deserve! We’ve been clear from the start: pensions need to be included in a complete picture of your financial health. Managing the day-to-day is great, but how can we see those small actions have a big positive impact in the long term? That’s why we’ve now integrated with five Open Banking money apps and marketplaces using our Open API. So far it’s Starling Bank, Yolt, Emma, Moneyhub, Money Dashboard but we’re talking to lots more players in the ecosystem. We are the only pension provider in the UK who allows their customers to pull their live pension balance alongside all their other balances. We’re pretty pleased to be the driving force behind rising consumer expectations that your pension is part of Open Banking, but also that we’re setting the API data standards for pension companies to integrate into the ecosystem going forward. But how does this fix the long term savings crisis? As a rough guide, we suggest customers need contribute roughly 15% of their current salary to have a comfortable retirement. Next year AE contribution rates will rise to 8%, so we just need to make up the remaining 7% to start to address the crisis. And where are we going to find that 7% from? Well we’re excited to see what magic Open Banking and the Government’s Smart Data Review can do on our accounts. Citizens Advice’s CMA Super-Complaint shows us that 8 / 10 people are paying a significantly higher price for remaining with their existing mobile, broadband, home insurance, mortgage or savings providers - totalling £877 a year in loyalty penalties per household. That’s £4.1 billion a year - just from those five products - that we could all be putting into pensions instead! And what about when you include electricity, gas, current accounts, credit cards, loans, pensions, travel, overdrafts, tv packages, gyms, plus every other regular account outgoings? Alerts and auto-switching to better products that help you choose lower interest rates, overdraft charges or better deals will help you claw back real savings across the board. In fact Open Banking apps will continuously scan your accounts to move you away from all high-charging, low-performing products and services, to ensure your money keeps working harder, for longer. 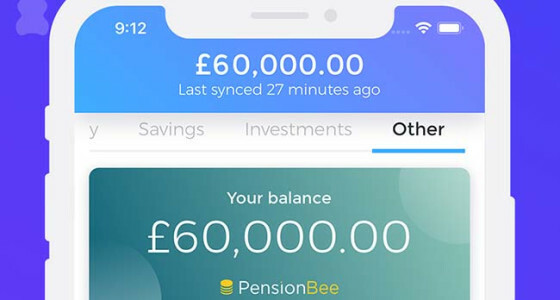 We’ve already seen Moneyhub enable auto-top up and sweeping rules to directly contribute into PensionBee when there’s extra money available at the end of the month. Additionally you can set up a rule to contribute any money from an unexpected refund or saving that Moneyhub have found on your behalf, such as a rebate from your old energy supplier once you’ve switched! This how we start to fix the long term savings crisis. We all need to understand our money better and make smarter choices in managing it. Open Banking is here to empower us to do that, to help us use our existing money, smarter, wiser, better, and for longer - and give us the tools we need to build the happier, more resilient financial futures we all want and deserve.